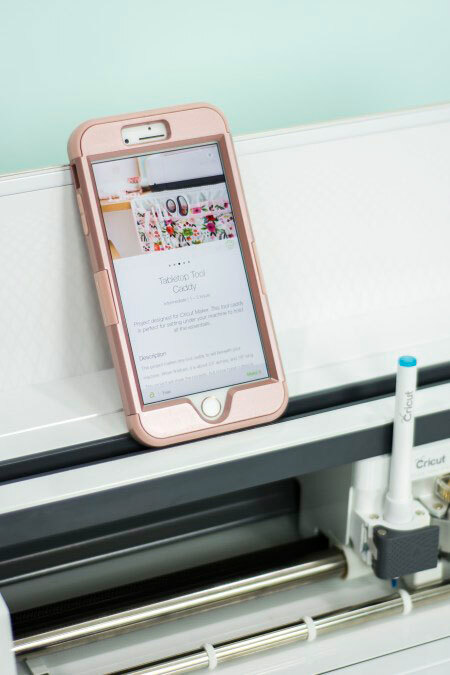 I was one of the lucky bloggers invited to the Cricut Mountain Maker Event in August to announce the launch of Cricut’s BrightPad, EasyPress, and Maker machines. I was instantly in love with the sleek new design of the Maker. It’s not a drastic looking change on the outside, but my Maker never ceases to amaze me with what it can actually do! First, the Maker can charge your mobile device and has a spot specifically designed to hold a phone or tablet. This is so cool to me! Second, The Maker can cut and mark sewing patterns, and it makes making DIY fabric appliques a breeze. There are 25 patterns that come with the Maker, with more being released each month. Image via Pineapple Paper Co. The new Maker can cut denim and leather with ease, but, it can also cut crepe paper! The newest member of the Cricut family can also cut felt and stretchy knit fabrics. The Explore series tools are Maker compatible, but the Maker tools (rotary blade) will not work with the Explore machines. The tools can be used to emboss too! Bonus! Cricut has partnered with Simplicity and Riley Blake Designs! I am continually awestruck by everything the Maker can do, and I know the Cricut team is working behind the scenes every day to make it even better! What have you done with your Cricut Maker? Show us with #CricutMade! Hi. Contact us at cricut.com/chat and we can help you get this set up. I have the Cricut Explore Air; am I able to engrave with this machine?? I have not been successful when searching for a tool to do so. I was told when I purchased this machine that it does have this capability. Any help would be appreciated!!!! Thank you!!! Hi. We do not have a tool that can be used to engrave with our machine. I’d love to know what I need to have to make labels for 10ml, 2oz., 4oz., 8oz., & 16 oz. Glass Bottles. Some kind of Label Paper that would be waterproof & be good with Essential Oils. Do you have all these supplies with Cricut? Hi. I am not sure if it would be waterproof, but you could try our clear printable sticker paper. greeting cards for sure and go from there. I am excited to get going on this and get some projects done to see how I do, Thanks Cricut! Do you have any birthday gifts to make? You could do a card and perhaps make them a vinyl sign, etc. It really depends on what kinds of crafting you like to do and want to try! It can cut so many different materials. I have a circut explore.i want to purchase a cricut maker. Can I used all I have in my cricut in the cricut maker? I mean if I sell the cricut explore, can I used all the designs I already purchased in the maker explore? Sonia, you keep all your designs that you have in design space. You don’t lose them. You will still be using design space for your designs. Why is the knife blade unavailable? And will it be? I have the explore, I bought the maker for this purpose and am disappointed that I can’t get the blade?? Tina, I believe I can speak for us Cricut users in that we are all disappointed that the knife blade isn’t out yet. Just curious as to what you are planning to do with “Corporate’s address?” They obviously aren’t releasing the product because they are having issues with it. I don’t want a product that has been hurried and pushed out without it not being 100%. Cricut has plans and they have not failed us Cricut users before. I believe in Cricut as a company and are ranked top notch in my opinion. Being disappointed I can understand. However, complaining isn’t going to get it in your Cricut any quicker. Plenty of projects to do until the knife blade is released. Have fun…. I have a Cricut Explore and love it so much! I’m disabled and my Explore has enabled me to create again, it does for me what my hands cannot very much anymore. I used to make quilts and am so excited that the Maker could make it possible for me to quilt again! What I am wondering is if there is a way that I can keep an eye out for a sale or price cut on the Maker so that I can try to purchase one at an affordable price. Many Thanks!! Lisa, I too am disabled. I received my Maker for Christmas. It’s my new best friend. As far as affording the Maker, it took me three years of saving. I’m happy I waited for the Maker. I have seen where they run it on HSN where they offer the flex pay. You probably won’t find it on sale because it is still new and they have more tools for the Maker to release. I’ve also noticed that Cricut has it in different starter bundles. More $, but more product. Good luck. I have been using the circuit Machine for Many yrs now . I bought my 1st one when u 1st made it . Now I have 4 Circuit of them I have every 1 except the baking 1, and the cuddle bug the rest I have . I have to admit this 1 is above and beyond the rest . I love them all . This 1 is the best . I did know it would hold and charge devices, I did not know it would cut crepe paper. Thanks for the info. I have cricut explore air 1st one can the rotary blade be used in it? No. In order to create a machine that had much more force and could use tools like the rotary blade, the mechanism was revised and has a gear system for the rotary and other blades like that in the future. You can use all Explore blades in the Maker, but not the reverse. Wishing had one(maker), gone take me way longer now thanks to unforseen events. Hurricane Maria abruptly move plans around . My Cricuf Explorer will have todo for now. Can’t wait to be back in the USA and crafteing again. Thanks for the info on the additional things the Maker can do. I see the place for holding the iPhone/tablets but how exactly can it charge the iPhone? Plug it into the USB cord that comes with it. I received the Cricut Maker from my husband for Christmas. Yeah!!! I have the original cricut plus the Explore. I downloaded my cartridges to the cricut. I am either going to donate the other machines to a school. Will they be able to use my cartridges? Is there anything I need to do to these machines before I donate. Tips? If they are linked to your account, they would be able to use them with the original Cricut. The Explore uses Design Space and since the cartridges are linked to your account for the Maker, only you would have access. They could still use the images and fonts that are free in Design Space with the Explore. I have the original Cricut that uses the cartridges. Can those be used in the Maker? Yes. You will need to link them in your account. We have an adapter in the works, but in the meantime, you can contact us at cricut.com/chat to get help linking them. 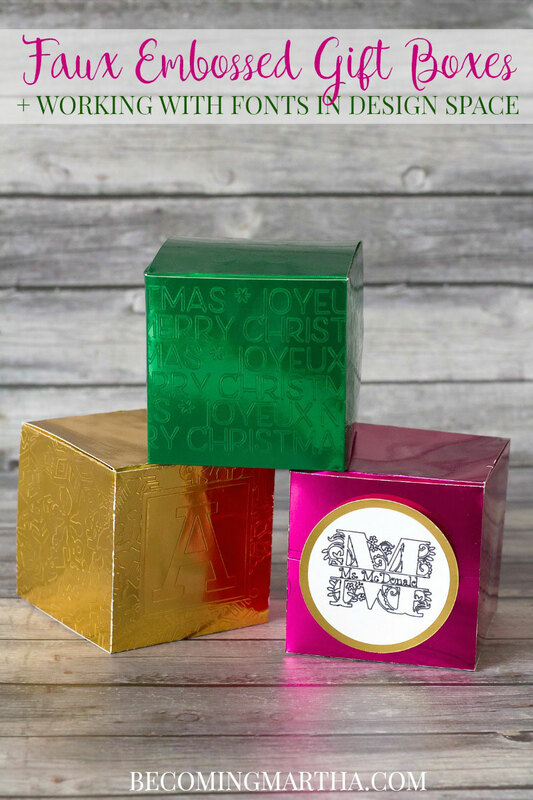 What tool is used for embossing? I just got my Cricut Maker! I have no idea how to do anything on it yet! I am anxious to learn and get started!! The more I search and watch and learn about my new cricut maker, the more astounded I am! I’m brand new at this and can’t wait to dig in! The possibilities are endless and I don’t even know where to begin!! I am a seasoned crafter. I paint, sew, do florals and any other project that comes along and I can’t wait to put my new Cricut in the mix! Thanks for all of the info that is available and I’m sure this will be an endless adventure!! Does it cut construction paper? Does it take the cartridges? Yes, the Maker can cut construction paper. There will be a cartridge adapter available at a future date. For now, you could use an older machine to link these to your account or contact our support team at cricut.com/chat and they can assist you. I tried charging my iphone just like the picture, but it doesn’t seem to charge. The picture (as of 5/29) only shows how the phone sits in the slot, but does not show the cable. Plug a USB cable into the charging port on the right end of the Maker, and into the phone. I bought the Cricut Maker in October – I was so excited. My last Cricut was the original, so this upgrade is amazing. However, I’m very frustrated! I cannot yet move my existing cartridges into Design Space as there is no adapter available!! I had a few projects I wanted to do the last few months and I’ve had to use my old machine. WHEN or how will you adapt to uploading the existing cartridges to the Cricut Maker and /or Design space? The store shows this adapter, but it’s not (ever) been available? and it is not located in any craft stores or other online places. I would really like to use my machine!! Thanks! Hi. You could contact us at cricut.com/chat and someone can help you link your cartridges. I did not realize the the bottom flap had a storage area. Does anyone have a good list for blades and what they cut. Hi! Check out our post about key essentials for new users. Happy crafting! I have the Maker and it will hold my phone and tablet but I saw somewhere that it can charge your devices. I see this to be impossible for it to be able to charge any device because where you place your device there is a piece of hard plastic that doesn’t move. The under side is solid too. Please explain how it is able to charge a device. You would use a USB charging cord plugged into the bottom of the side to do so. Hi. You could try some of the Facebook groups out there that focus on the older machines. One you could join is Cricut Newbies and Pros for Older Cricut Machines. spending a lot of money on the newer ones. I am continually awestruck by the many things these machines can do! I just bought the maker on Friday. I am a little dumbfounded on what to make first. But I was with my explore air also. But I plan to dive in right now! Thank you cricut for making these awesome machines! P.s. I think a cricut doll should come in every box lol. I just purchased a cricut maker and was wondering if there is anyway to clean the fabric mat? After several uses my fabric isn’t wanting to stick to the mat with or without using the brayer. Any help would be greatly appreciated. The Cuttlebug is great at embossing and has the advantage of not needing power and you can take it around easier. That is what you would likely want to use for most of your embossing needs. I am sooo looking forward to the Maker being available in the U.K. but would love to have an idea of when this maybe. I too am a seasoned crafter and have researched cutting machines in depth before deciding now I am like a child at Christmas so excited but worried I can’t get one ha ha. Please hurry there is a hyper woman out here. I just can’t wait ? I recently purchased the maker and I also sew and have quite a few simplicity patterns. 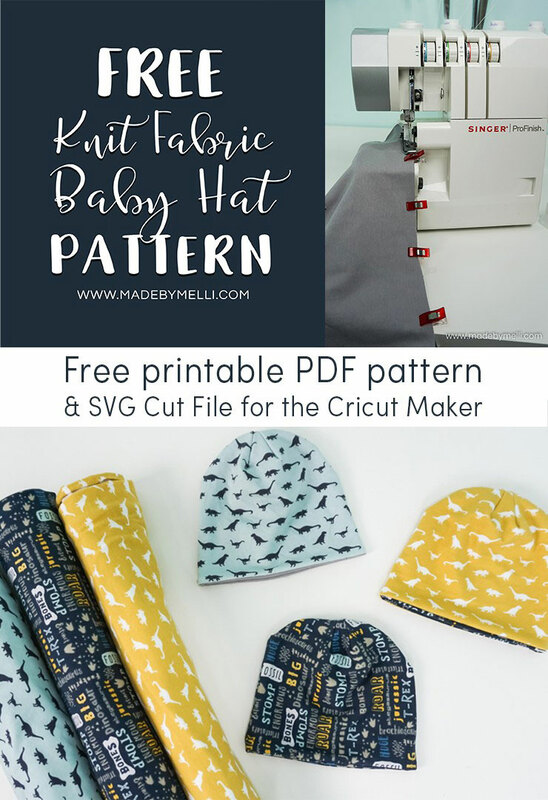 My question is has any thought been given on uploading a digital copy of a pattern that I already have and it is also pre-loaded into design space. I would rather not buy a duplicate pattern if possible. I’m specially referencing the bow tie and collar patterns. I’m truly amazed and floored by all the Cricut can do. I’ve only had mine for a week but…wow. What are you making 1st, so much fun to be had ?? I got a cricut make for Christmas, but have been unable to find the knife blade for it. Don’t see it on any of the website. Is it available to purchase anywhere? Susan it is NOT available yet. As per Cricut it will be a few months. I’m disappointed because I upgraded to be able to use this feature. I have been a Cricut user since the first bug, as we wait, there many fun things you can do with ur Maker. Hope I answered ur question. Is it true that you can etch glass? When I do glass etching, I use my Cricut to make a vinyl stencil. You would then apply it to your glass and use an etching cream. The Maker itself is not able to do the etching. I just purchased the Cricut maker and Yes it does come with the rotary blade. I have made a card 2 decals and designing more items all the time. I love Love Love this machine . I am also waiting for the knife blade. The release date keeps changing but it does come with the fabric blade. Be careful before you make your final purchase however. You may get a decent discount purchasing from Cricut website, but Michael’s and HSN have exclusive content that you have access to ONLY if you purchase from them. A little research goes a long way. Enjoy! I purchased the Cricut Maker and received the easy press for Christmas. I am not a creative person naturally. Wish I was. But I am so excited to play with these. But also over whelmed. I don’t know where to start. Since you have both of those…why not try a shirt design? 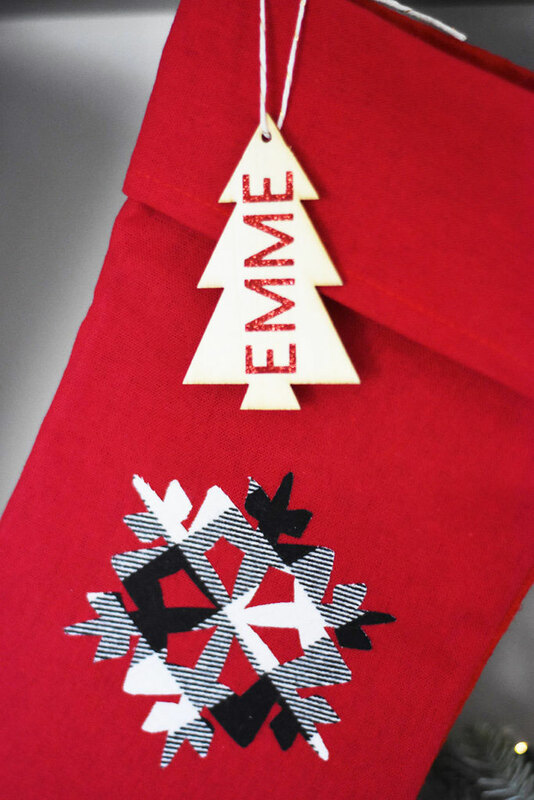 You can cut out iron-on with the Maker and then use the Easy Press to put it on. We have lots of designs that are Ready-to-Make in Design Space or you can upload your own. Good luck and have fun! The Maker comes with a teacup iron-on mini project to start. I started off with small projects like gift tags. 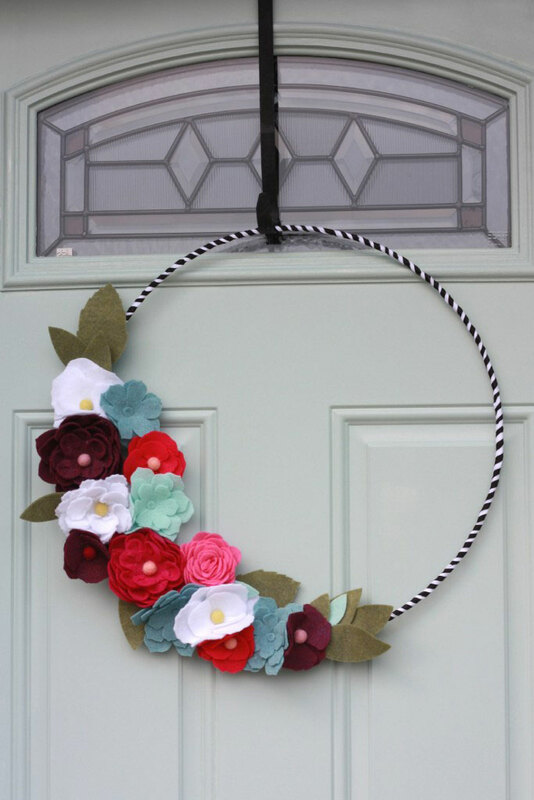 I like these most because you can make several at a time and practice with simple paper projects. I moved u to 3D projects like boxes and bags. You can put the bags, tags and boxes together for gifting. I find that sampling iron-on on cotton canvas bags was great fun and very useful. You can’t get it wrong using the Easy Press. I gifted the bags to teachers and staff. Try sweats or tees…or both! Make cute outfits for the little ones. Buy sweats and tees from discount stores and hone your ironing skills. If you search for the word Stencil, there are a few fonts available, including one called Stencil. Christmas gift. Still learning. Love my circuit. Amazed at what it can do. Is there any type of setting for the cut light? Five days after I bought my Maker the cut light stopped working. I have been emailing back and forth with customer support, but they have been zero help, which is super disappointing when you spend a fair amount of money on a machine like this. I thought I remembered some sort of setting for the cut light during the initial set up, but I can’t find any info. Thanks! We have a post on Getting Started with Your Cricut now! You would first sign up for a Cricut ID at design.cricut.com. Further prompts will help you download the plugin for the software and more. Good luck and have fun! I recently subscribed/ purchased cricut access. Is this something I will receive in the mail? Not understanding. No, it is a digital subscription that will allow you to use additional projects, images, and fonts in Design Space. It should have been applied to your account. If you are somehow unable to use things that are designated as Access (for example, projects will have a green flag at the top of the picture with an A in it), contact us at cricut.com/chat. Yes, all Explore blades can work in the Maker. I’m in a zone right now with the adhesive vinyl on glass. Is there anyway I can make it permanen? I want the design to stay on after washing. Is the outdoor vinyl the strongest vinyl Cricut sells? We now have permanent vinyl. We do recommend handwashing for long-lasting results. My cousin talked me into getting one. I ordered it last week and it should be coming this week. When I look at YouTube videos, it looks complicated to use. I have no idea what I want to make. I have bare walls in my home, so maybe I’ll start there. I love my Cricut Expression air 2 so my husband got me the Maker for Christmas! A little disappointed that it didn’t come with the knife blade, now I have to wait for it and then buy it. I think you should have gotten a voucher or coupon for the knife if it wasn’t included! And any ideas when it will be available? I have been quilting since 2005 when I became disabled. My friend purchased one of the original bugs and used it to make things for Christmas craft shows. I was so impressed with what she could do, I started to research the Cricut’s. Once I found out the Maker would cut fabric, I became very interested. Last week I purchased the Maker and took a class to get started on the right foot. It was two and a half hours, well worth the time and money. I know enough now to get started with simple projects like cards, using vynal and downloading images. On the box, it showed the blades that I assumed came with your purchase. One of the blades is the knife (I think). Will we receive the knife once it’s available? Also, can we use an iron instead of purchasing the press from cricut? I know it might not be as good or fast, however can it be an alternative? 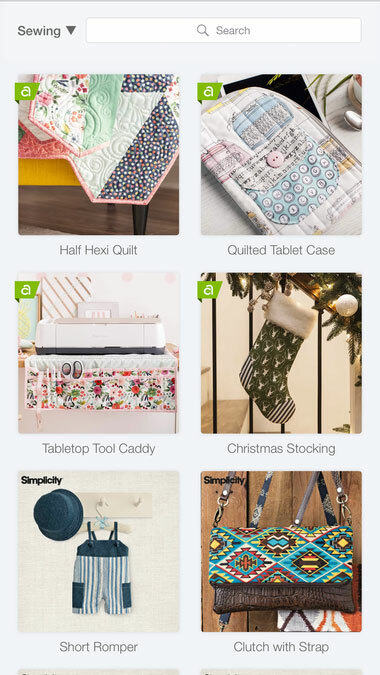 Another question…will Cricut be partnering with quilt companies to design quilt projects for the Maker? Thank you for designing an amazing Maker. Hi. The Knife Blade will be a separate purchase once it is available. Yes, you can use an iron for projects. You will need to watch for hotspots and make sure to cover all areas to adhere the iron-on. We do have a partnership with Riley Blake Designs for quilt projects. Hi. Here is a chart that explains the differences between the two. The Air comes with features like built-in Bluetooth and a double tool holder. You can use cartridges that you used on the Expression (if that’s what you meant) if they are not linked to someone’s account already. I have been working on geometric hexagon piecing to quilt. I love the way it rolls on the fabric so much better! I recently purchased a used cricut expression with 12 cartridges. I have been trying to figure out how to register the cartridges on the craft room so that I can design with them in the craft room without having to put the in my machine. The cartridges have not been previously registered. I really need some help with this. I was told that the Explorer Air 2 could not cut crepe paper. Is that true? Crepe paper is so delicate that it would very likely tear if cut with the Explore Air 2. You can do it with our new Maker, which utilizes a rotary blade for crepe paper. I purchased my Cricut Maker on HSN. It was the first purchase I have made there; so…I received a 15% discount on my account with my Cricut Maker. That was a very good deal since you cannot get it any cheaper.